Yes it’s already that time of year, time to make your New Year’s resolutions. For the past few years I haven’t really been in to making resolutions because I typically say I’m going to eat healthier and go the gym (snooze!). If you are anything like me, these goals are too broad and you typically fall off the wagon a few weeks later. While I may start off with the best of intentions, the lack of a solid plan means I have a slim chance for success – resulting in my bitterness towards resolutions all together. But not this year! A resolution by definition is a firm decision to do or not do something. 2017 is going to be different, I am making a conscious firm decision to set attainable goals and a plan of action which will lead me to a successful, happy year. Instead of making broad goals like eating healthier and working out more (because what exactly does eating healthier mean?) I am focusing on a list of 8 goals throughout the year. Some may be very specific – like learning the manual settings on my camera – and some may be more general – like nourishing my relationship with family and friends. This year my overall goal is to become a more in tune and well-rounded person. I talked about personal happiness in this post, and setting goals that aspire me to be the best version of myself equates to growth and inner happiness, which we can then share our joy with the ones we hold dear. The best part about this resolution list? It can be tweaked so anyone can use it. My hope is that you will take the time to think about what matters most to you and focus in on it this upcoming year. With a little time and effort 2017 can be off to a wonderful start – I’m here to guide and support you! Just follow the two easy steps I’ve created for you and you’ll have a goal action plan to refer to throughout the year. Print the worksheets below and fill in your list with your goals for the year, we’ll be visiting three of them in the next step. Place your list some where visible to serve as a daily reminder. Enjoy these worksheets? Please take a moment to pin the above photo to Pinterest for others to use! List any obstacles you may face and write an action plan. Include how you will overcome obstacles. Mark key dates (set realistic deadlines) in your planner. Stare fear in the face. Understand that there will be scary moments and occasional setbacks. This is not the end – redirect yourself and when achieving your goals seems impossible move forward anyways. Let go of the experiences and tools that do not help you grow and move forward. Share your goals – whether it be with a person you trust, on your blog, through social media, or written in your journal. Putting your goals out there will hold you accountable. Don’t underestimate the power that comes from writing down what you want. Set your intentions and blaze forward. Dividing your goals in to small achievable steps keeps you from feeling lost and over whelmed – you are more likely to reach the finish line if you take it step-by-step. So there you have it friends, an action plan that will set you on the path to a successful year. Believe that this year, anything is possible! There are 365 wonderful days before you. The updated files are now in THE LIBRARY along with free art prints, worksheets, wallpapers and fun printables. If you are not a member of The Library, simply add your email to the list and you’re in! What are your new year’s resolutions? Let me know in the comments below. 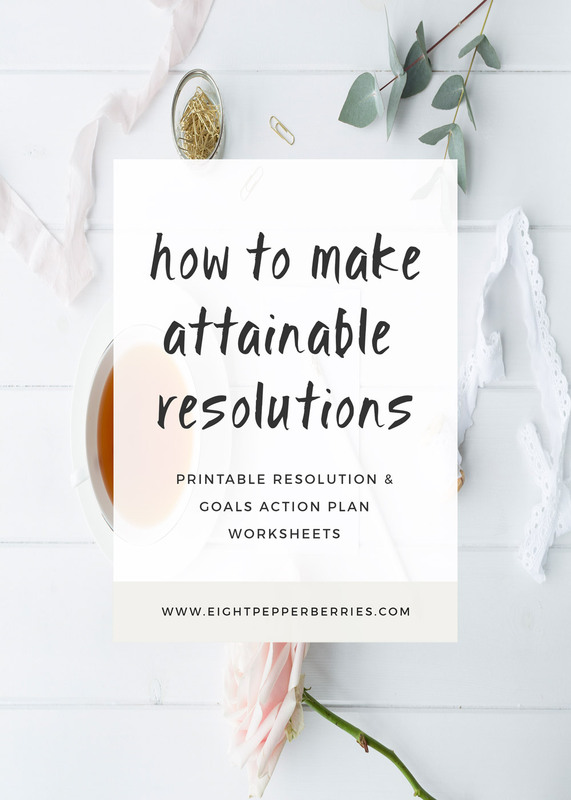 I don’t do resolutions for the new year, but I do make goals for the year and I absolutely love your printable worksheets. Too many write down resolutions/goals, then leave them there, no action steps, nothing….and then they forget about them. I love your tips, and thanks so much for sharing with us at Totally Terrific Tuesday Link Party! I can’t wait to see you again this week. Have a great day and week ahead! Thank you for hosting each week! I enjoy being apart of the Terrific Tuesday Link Party, its a great place for me to find new diy’s and recipes. 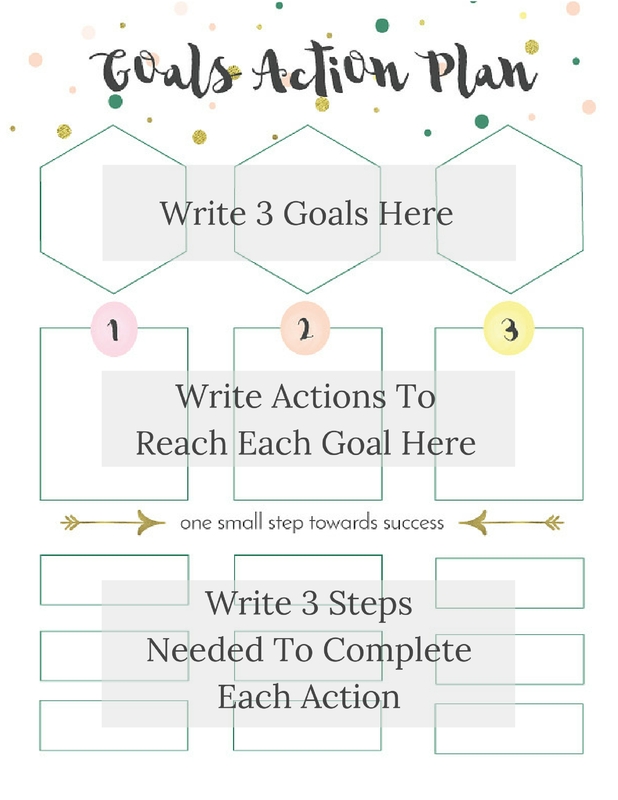 I struggle too with creating resolutions/goals and not following through due to a lack of planning on my part.This worksheet is a great way for me to work through step by step how to achieve my goal(s). In The Library (Freebies on the menu bar) you’ll find a the same action plan worksheet, but with it labeled with ‘Goals’. I hope that it helps you plan out some great goals for 2016!